The Washington Post Associated Press October 1, 2012WASHINGTON — The Supreme Court won’t let the family of a raped and murdered college girl sue the employer of her killers for her 1979 death. The high court on Monday refused to let the parents of Janet Chandler sue Wackenhut Corp., which in 1979 was hired to send security guards to Holland, Mich., to provide security during a strike. Chandler, who was a 23-year-old college student working at a hotel, was kidnaped, raped and killed by Wackenhut guards, who then covered up her death. Six people were convicted of first or second degree murder, five of whom worked for Wackenhut. But the federal courts have said Chandler’s family cannot sue Wackenhut for her long-ago death.The high court refused to reconsider that ruling. TRAGIC: Gavin Arthur died in the car crash. THE widow of a Scottish businessman who was killed in a car crash in Iraq the day before he was due to return home to his family has led tributes to her husband. Gavin Arthur, 39, who was originally from Ellon in Aberdeenshire, was fatally injured last week when the car in which he was travelling was involved in a collision in Basra. Mr Arthur was Middle East sales manager for engineering company CheckPoint Pumps and Systems and had been living in Dubai with his wife, Donna, and two young sons for the past five years. Only days before his death, Mr Arthur had posted a poignant message on his Facebook page, stating that he was looking forward to returning to Dubai to give his sons “a hug and a kiss” when he got home. A Barksdale Air Force Base Airman was killed on Thursday while serving in Afghanistan. 23-year-old Bryan Bell died after he was hit by an I-E-D.
Bryan was a member of an elite ‘Explosive Ordinance Division’ (Bomb Squad) based at Barksdale. His parents say Bryan was originally from Erie, Pennsylvania. He joined the Air Force in April of 2007 and got his bomb disposal training at Eglin Air Force Base in Florida before being assigned to Barksdale. He married his wife, Alaina in August of 2008 and would have turned 24 next month. Bell also attended Louisiana Tech. Bryan’s remains are expected to arrive at Dover Air Force Base in Delaware about 11:30 EST. Family friend, Jim Hawryliw told KTAL’s sister station JET24/FOX66 that Bell was a volunteer firefighter who joined the Air Force in 2007. Both Bryan and Alaina are from Pennsylvania, Friedley said, and they lived in base housing on Barksdale AFB. 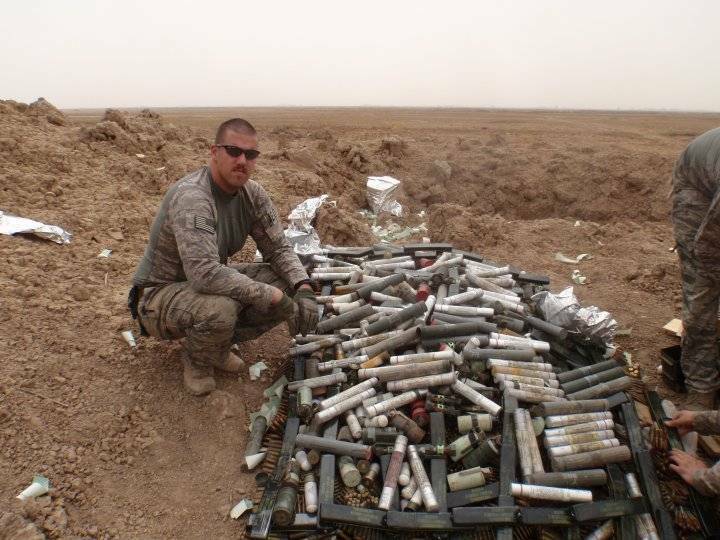 Bell was a member of the 2nd Civil Engineering Squadron based at Barksdale, was an EOD (explosive ordinance disposal) Specialist. NORFOLK, Va.(WAVY) – A locally based Navy SEAL was killed Saturday in Zabul province, Afghanistan, according to a press release from the Department of Defense. Special Warfare Operator 1st Class (SEAL) Caleb Nelson, 26, was killed when the vehicle he was riding in hit an improvised explosive device, according to the Department of Defense. Nelson, A native of Omaha Nebraska, was assigned to the Naval Special Operations Warfare Unit based out of Norfolk. “Caleb Nelson was a cherished teammate, a gifted SEAL operator, and a loving husband and father. His tireless professionalism, inspiring passion for life, and his humble and selfless service to our country made him a role model for all who knew him,” said Capt Tim Szymanski, Commander of Naval Special Warfare Group TWO in a released statement. “We are deeply saddened by this tremendous loss and yet comforted knowing that Caleb died serving beside the people he loved. Our hearts and prayers go out to the Nelson family during this very difficult time, and we will never forget the ultimate sacrifice that Caleb made while protecting our nation and his teammates,” said Capt. Szymanski. Nelson was a highly decorated soldier and received the Bronze Star for Valor and a Purple Heart. He is survived by his wife, two sons and his parents. A man who worked for the US Army Corps of Engineers in Norfolk was killed in Afghanistan. 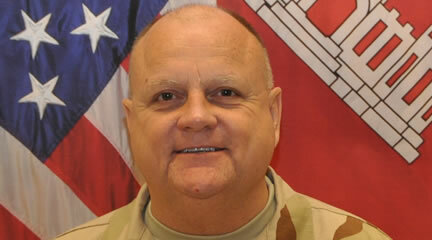 James W. Coker, 59, of Mount Pleasant, S.C., was pronounced dead Sept. 5 in Kabul, Afghanistan, while on temporary assignment with the U.S. Army Corps of Engineers. Coker worked for Naval Facilities Engineering Command Atlantic in Norfolk. The circumstances surrounding Coker’s death are under investigation. According to the Associated Press, Coker was a civilian working with the U.S. Army Corps of Engineers when he was kidnapped from his Afghanistan power plant and strangled to death. Carrie Hughes, Coker’s daughter, told The Associated Press that military officers came to her house near Charleston, South Carolina on Monday to inform her that her father had been killed. It was not known who killed the Coker or under what circumstances he was abducted. Also Tuesday, the bodies of two Germans who had apparently been murdered were retrieved from a remote location. Neither area is known to be a hotbed of militant activity. An Afghan military official tells CBS News that the body of a U.S. national was found beheaded on Monday in eastern Kabul, days after a civilian engineer went missing in the capital city. Intelligence sources in Afghanistan told the Reuters news agency the body was that of the missing American civilian, and the international military coalition confirmed that a U.S. engineer had been killed. 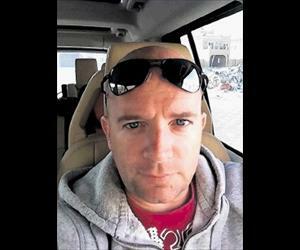 The slain engineer was identified as James W. “Will” Coker by the U.S. Army Corps of Engineers, for which he worked in Kabul as a construction contractor. Kidnappings and targeted killings of foreigners are common in Afghanistan, but less so in the sprawling capital city, which has seen less impact from the Taliban- and al Qaeda-led insurgency plaguing many parts of the nation. Former Trooper First Class Paul Protzenko, 47, was killed late Friday or early Saturday, according to a spokesperson for Military Professional Resources Inc., the company for which Protzenko was working. Protzenko’s son Matthew Protzenko, who served in Iraq, said he was notified of this father’s death the day it happened. Matthew Protzenko’s said his father served for 20 years as a Connecticut State Trooper. Lt. Paul Vance Protzenko was conducting police training with the private contractor in Afghanistan. It was unclear Sunday how Protzenko was killed. MPRI is working with the family to return Protzenko’s body to Connecticut, according to company spokesperson Rick Kirnan. An official statement and further details will be released by MPRI on Monday, Kirnan said. 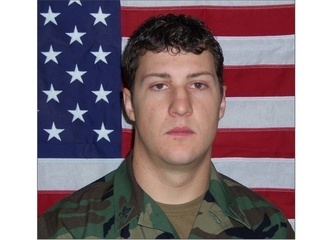 The Department of Defense is conducting an investigation into Protzenko’s death. A retired state trooper died Saturday in Afghanistan while working for a military contractor. Trooper First Class Paul Protzenko, who retired in 2009, was killed in action, said a state police sergeant who used to be his supervisor. Protzenko was in the Army before he spent some 20 years working for the state police, he said. Protzenko was employed by Military Professional Resources Inc., a firm that does extensive training and security work for the Department of Defense and the U.S. Army, among many other clients. Some of his duties with the military contractor involved training Afghanistan national police members in crime-scene work. Six members of a mine removal team who were kidnapped in western Afghanistan last week are found dead. Afghan officials say six members of a team removing mines in Western Farah province who were kidnapped last week have been killed. Several bodies were recovered in Farah’s Bakwa district on Sunday, local police official Mohammad Munir the Reuters news agency. Al Jazeera’s Bernard Smith, reporting from Kabul, said that 31 people from the Demining Agency of Afghanistan (DAFA) were reported to have been abducted in the province on July 6. Two of the kidnapped men from DAFA, a non-governmental organisation based in Kandahar which focuses on landmine clearence in the southern and western Afghanistan, were released on Sunday and taken to hospital. Police officials gave conflicting reports as to whether some of the men had been beheaded. Abdul Baseer, a Farah provincial council member, accused the Taliban of the abductions and killings. Staff Sgt. Michael J. Garcia, 27, of Shreveport, died on the Fourth of July, in an explosion in Wardak province, Afghanistan, according to information released today by Fort Polk. 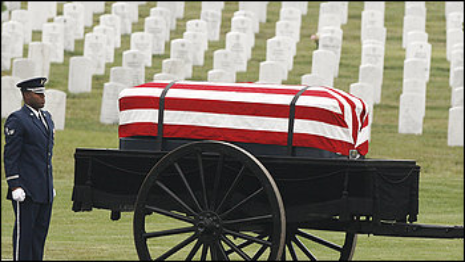 Garcia, who also has served in Iraq, is survived by his father and sister, according to the Army. 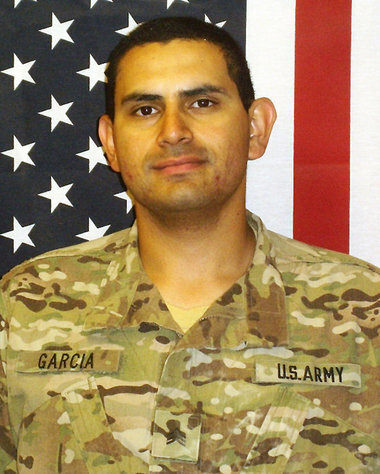 Garcia was assigned to the 705th Explosive Ordnance Disposal Company at Fort Polk, which deployed to Afghanistan to support the 10th Mountain Division’s 2nd Battalion, 4th Infantry Regiment. The Defense Department said he was killed by an improvised explosive device. Spc. Andrew Cancienne of Metairie, who is in Afghanistan, described Garcia as “a big man with a much bigger heart,” who was “a great” technician and non-commissioned officer. “But more importantly, he was one of my best friends,” Cancienne said. Garcia has earned a slew of medals and decorations, including a Bronze Star with a “V” for valor; three Purple Hearts, a NATO Medal, Army Commendation Medal, three Army Achievement Medals, a Navy Achievement Medal, two Army Good Conduct Medals, an Afghan Campaign Medal with two campaign stars, and Iraq Campaign Medal with two campaign stars, a Combat Action Badge, a Senior EOD Badge, an EOD Badge and numerous other awards. US-led forces have killed at least five private security contractors and injured nine others in an airstrike in the troubled eastern Afghanistan. The strike took place on a NATO logistics convoy in Sayedabad district of Wardak province, a Press TV correspondent reported on Thursday. The US led forces reportedly hit the convoy after it was attacked by militants. NATO officials claim they have only killed militants in the air strike. An Eglin airman was killed Sunday in Afghanistan. Tech. Sgt. 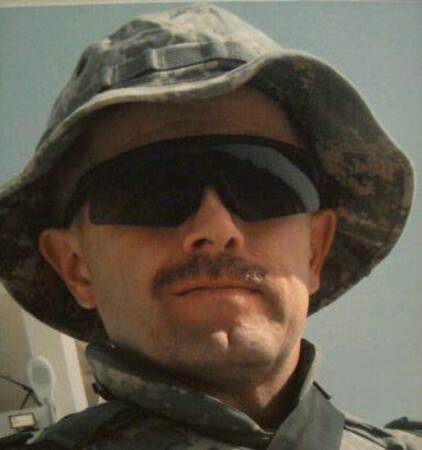 Daniel L. Douville, 33, died June 26 as a result of injuries suffered from an improvised explosive device on the border of the Nad ‘Ali district of Helmand province. He was assigned to the 96th Civil Engineer Squadron. The Fort Walton Beach resident was an explosive ordnance disposal technician remembered by his former EOD instructors as having a quiet presence. He and his wife, LaShana, were married for 14 years. In a phone interview Monday afternoon, LaShana said Daniel was the epitome of what a man should be. “He was just a great father and a loving husband,” she said. Douville, a native of Louisiana, had served in the Air Force since 1997. The couple’s oldest, Jadelynn, will start high school in the fall. 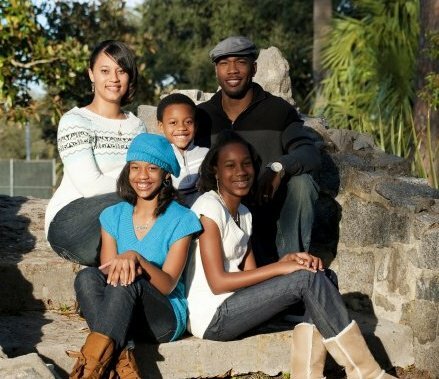 She, Daniel Jr. and Ayjah attended Liza Jackson Preparatory School this year. James McLaughlin Jr., 55, and eight U.S. troops died early Wednesday when a veteran Afghan pilot opened fire during a meeting in a military compound near the airport. His wife, Sandy McLaughlin, said Thursday she was notified that he had been shot to death, but was not told any of the circumstances. “The only thing I know is an Afghan pilot opened fire and my husband was shot and killed,” she said. Her husband retired as a lieutenant colonel from the U.S. Army in 2007, after 25 years in the service. The following year, he began training helicopter pilots in Afghanistan for L-3 MPRI, an Alexandria, Va., division of the giant defense contractor, said Rick Kiernan, a vice president of communications for L-3. McLaughlin, who had lived in Sonoma County since 1987, was also an avid ham radio enthusiast. He helped set up a digital communications system for the ham operators who are part of the Sonoma County Office of Emergency Services disaster communications network, said Ken Harrison of Santa Rosa, a friend for 20 years and fellow ham operator. 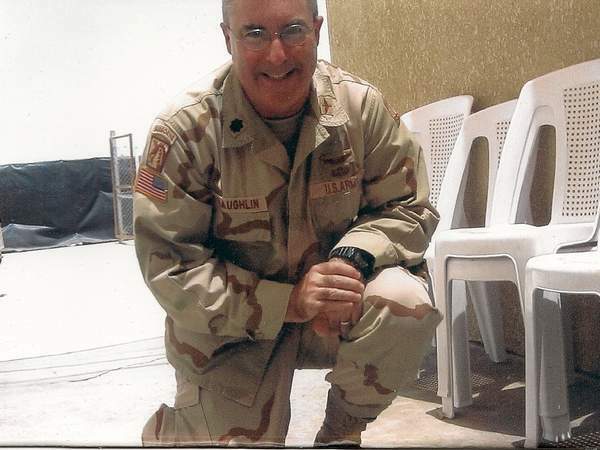 In Afghanistan, McLaughlin worked on the U.S. Army Military Auxiliary Radio System, a Department of Defense-funded ham radio program that helped keep U.S. troops in contact with family at home. McLaughlin’s death sent shock waves through the close-knit ranks of ham radio operators. He had been home in Santa Rosa two weeks ago before returning to Kabul. Wednesday’s attack was the fourth in the past two weeks in which someone wearing an Afghan security-force uniform struck from within a government compound. The shooting occurred during a morning meeting between American and Afghan officers. Nine Americans were killed and five Afghan soldiers were wounded. North Atlantic Treaty Organization forces killed the attacker in a gunfight. L-3’s Kiernan said the shooting occurred in what has been considered a secure compound in Kabul. “They are looking into the incident to find out what would have motivated the perpetrator,” said L-3’s Kiernan. The Taliban quickly claimed responsibility for the attack, identifying the assailant as a Taliban militant named Azizullah from a district of Kabul province. The gunman’s brother insisted he was not a Taliban sympathizer. The attacker, identified as Ahmad Gul Sahebi, 48, was an officer who had served as a pilot in the Afghan military for two decades and was distressed over his personal finances, said the brother, Dr. Mohammad Hassan Sahibi. Since March 2009, 48 NATO troops and military contractors have been killed in at least 16 attacks in which Afghans have turned their weapons on coalition forces, for reasons investigators later attributed to battlefield stress and personal animosity toward coalition soldiers, rather than Taliban infiltration. Sandy McLaughlin said she was naturally concerned about his work in the war-torn country. The couple had been married 28 years. They have three adult children, Adam McLaughlin, Eve McLaughlin-Suttif and James McLaughlin, all of Santa Rosa. Sandy McLaughlin said her husband’s body is being brought back to Dover, Del., on Friday and then will be returned to Santa Rosa. SACRAMENTO, April 20 (UPI) — A Sacramento woman documenting an Iranian democracy movement in Iraq was killed by Iraqi soldiers, the United Nations reported. A U.N. report said Asieh Rakhshani, 30, was one of 34 unarmed Iranian expatriates allegedly slain April 8 by Iraqi soldiers while filming a pre-dawn confrontation over control of the northern section of Iraq’s Camp Ashraf, The Sacramento Bee reported Wednesday. “My sister was one of the seven women killed,” said Hamid Yazdanpanah, a University of California-Davis and Pacific McGeorge School of Law graduate. 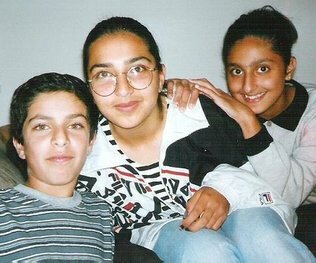 His parents raised Rakhshani until 2000, when she left to rejoin her activist parents at Camp Ashraf. “She wanted to live in a free Iran. She was sending lots of messages of hope to youth in Iran. She was full of life and joy,” said Yazdanpanah’s mother, Ensieh Yazdanpanah. The State Department has condemned the violent attack on Camp Ashraf, even though it has been the headquarters of Mujahedeen-e-Khalq, “the people’s freedom fighters,” a controversial organization on the U.S. list of terrorist organizations, the Bee said. Update at 6:16 p.m. ET: The New York Times reports that Chris Hondros has died of the wounds he suffered in the attack that killed Restrepo photographer/c0-director Tim Hetherington and wounded two others. Update at 4:34 p.m. ET: AP reports that Chris Hondros, a New York-based photographer for Getty Images who was wounded in the attack that killed Tim Hetherington, is on a respirator and in critical condition. A colleague told the New York Timesthat Hondros suffered a severe brain injury. 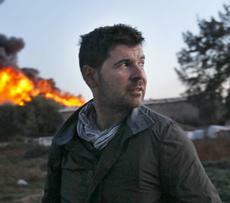 The 41-year-old Hondros has covered combat since the late 1990s, including conflicts in Kosovo, Iraq and Afghanistan. His work has appeared in major magazines and newspapers, including USA TODAY. 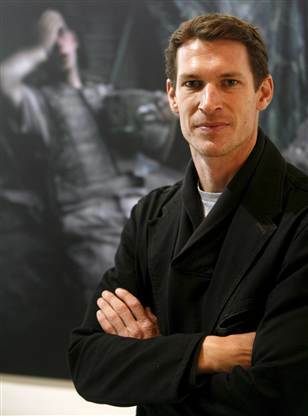 British photographer and filmmaker Tim Hetherington has been killed while covering the conflict in Libya. Fellow photographer André Liohn reported the news on his Facebook page with this message: “Sad news Tim Hetherington died in Misrata now when covering the front line. Chris Hondros is in a serious status. Michel Brown and Guy are wounded but fine.” BJP can confirm that Guy Martin, a young British photographer, was wounded in the attack. In the comments that followed, Liohn – who said he was at the hospital with both photographers – added that Hondros had later also died. While Agence France Presse and the Associated Press have announced that Hondros has also died in the attack, BJP has yet to receive official confirmation of his death. The New York Times announced earlier this evening that Hondros suffered serious brain injury and was clinging to life. A worker at Shropshire-based wine merchants Tanners whose son was kidnapped and executed in Iraq is preparing to run the London Marathon this weekend in his memory. Alec Maclachlan was killed in the war-torn country following a lengthy abduction. The 30-year-old was working as a security guard when he was abducted along with four other Britons by Shi’ite militants in a raid on Iraq’s finance ministry in 2007. 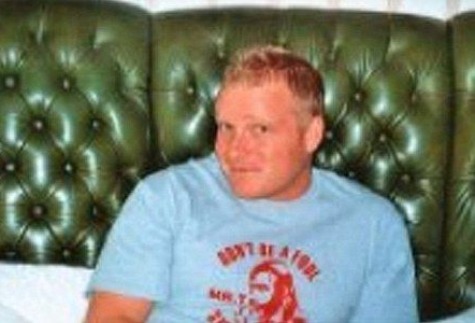 His body was handed over to British authorities in 2009. Now, Alec’s father Colin Maclachlan, who is business development manager for Tanners Wines in the Mid Wales area, is preparing for the gruelling 26.2 mile event this weekend to ensure his son’s memory lives on. He is raising cash for ABF The Soldiers’ Charity, a national organisation which supports soldiers, former soldiers and their families in times of need. Colin, who is in his 60s, was due to be joined by his other son Ross, 34, but the soldier has been called out at short notice to serve in Afghanistan. “I have done a few half marathons before but never a full marathon,” said Colin.